When you need lawn aeration and overseeding in Allentown, you need Green Turf. There are many aspects that go into a beautiful, healthy lawn. Chances are, you’ve got the mowing and watering pieces down, but there is a lot more to caring for your lawn than mowing and watering it, and that’s where Green Turf comes in. 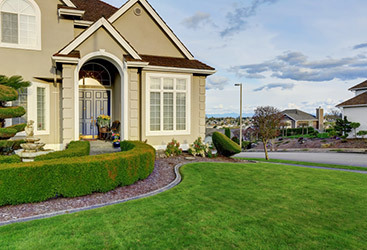 We are proud to be your go-to lawn care company in Allentown, and as such, we provide a wide variety of services to keep your lawn looking its best and healthiest, including lawn aeration and overseeding. Overtime, the soil in your lawn can become compacted due to foot traffic, as well as heavy machinery, like your lawn mower. When the soil becomes compacted, it makes it difficult for water and nutrients to reach the root system of your lawn. But with aeration, your lawn can breathe again, and it will have access to all of the water and nutrients it needs. 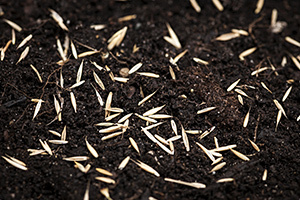 Once aeration is complete, we’ll overseed your lawn with five pounds of high-quality grass seeds. This helps your lawn to be thick, lush, and, best of all, beautiful. Aeration and overseeding are both essential steps in achieving a truly amazing lawn. Contact us today for lawn aeration and overseeding in Allentown! 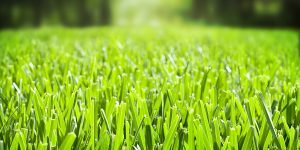 Every homeowner wants a lawn that is the envy of their friends and neighbors, and with Green Turf on your side, that is exactly the kind of lawn you’ll get. Like all of our services, our aeration and overseeding service is both affordable and effective. And, you’ll enjoy our personal, 100 percent iron-clad, risk-free, double money back guarantee, providing you with added peace of mind with each and every service. Don’t wait, turn to Green Turf for all of your aeration and overseeding needs. Want to achieve lawn perfection? Beyond aeration and overseeding you can implement lawn care practices that will elevate and enhance your yard, year-after-year! In the springtime, work with your local lawn care company and test the soil. In Allentown, the soil pH has a sweet spot that the lawn experts can identify, but typically grass thrives in a pH that is neutral and around 6.5 on the scale. When the pH is neutral, this is when a lawn treatment can incorporate region-specific nitrogen, phosphorus, and potassium salts. When you partner with Green Turf Care, we take the guesswork out of a balanced soil! As a homeowner, the next thing you can do to reinvigorate your lawn is to get in some proper edging and mowing. A mature, yet dense lawn may require some extra TLC towards the thatch. This can easily be achieved with a rake or a power dethatcher. We’re happy to provide you with for a great landscaping company that can help you in spring yard cleanup! Next, connect with us about our fertilization program, specifically in the spring. There is a golden time to have your lawn serviced before the initial growth begins and weeds get out of hand. The summer is a time to reap the efforts of your aeration and overseeding efforts with a full, thick, and emerald-green lawn. Summer is also the time to ensure proper upkeep and this is regular watering and lawn maintenance — look into and talk to a professional about the optimal grass height. 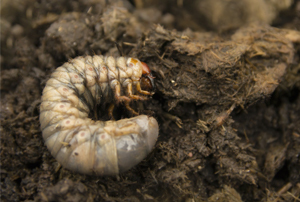 Bugs can also become an issue during the hot and humid summer months in Allentown, so to keep yard-destroying insects at bay, check out our insect-control services. From season-to-season, there are always optimal lawn care practices to impart. 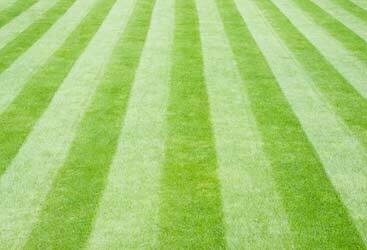 For more information, check out this article on lawn care.